Lobsang Dargey shot from obscure immigrant to well-to-do real-estate developer, but an SEC lawsuit alleges he defrauded investors. Lobsang Dargey, once an impoverished Tibetan monastery student, shot from obscure immigrant to well-to-do real-estate developer in barely a decade. 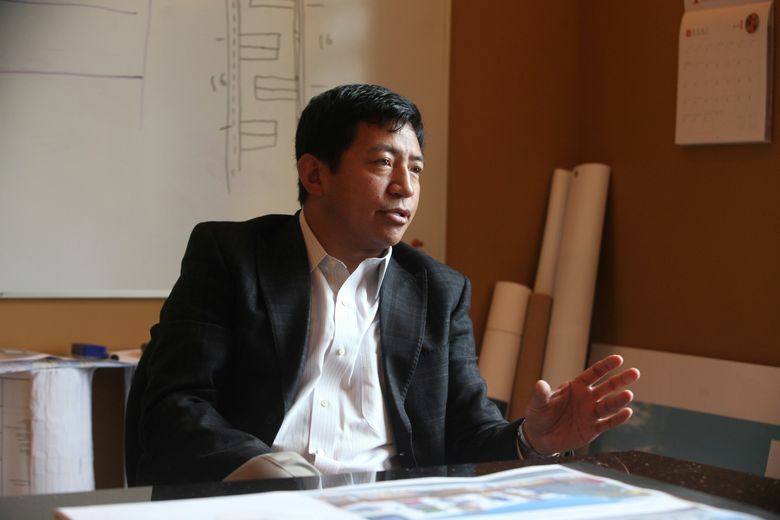 This summer, having raised more than $125 million from Chinese investors through the EB-5 visa program, he began construction on a 40-story downtown Seattle tower and was finishing up a $60 million Everett project. This month he was scheduled as the main speaker on EB-5 investments at a big Florida real-estate conference. The dapper 42-year-old drove a $212,000 Bentley and owned a $2.5 million Bellevue home that was being remodeled for him, his three children and his wife, Tami, the sister of tennis star Andre Agassi. He hobnobbed with politicians, even paid for Lt. Gov. Brad Owen to travel to China and talk up Dargey’s company, Path America. And he was poised to expand his firm to Oregon and California projects. On Aug. 24, however, his classic American success story took a startling turn as federal regulators filed civil fraud charges against Dargey. The Securities and Exchange Commission (SEC) now accuses him of misappropriating anywhere from $17 million to more than $50 million of the would-be Chinese immigrants’ money for his personal use or unapproved expenditures. Even before the diversions alleged by the SEC, Dargey appears to have misrepresented to investors what he’d accomplished and how he’d spend their money. Nonetheless, some who have done business with Dargey say he’s been an honest partner. The company has denied any wrongdoing, and lawyers for Dargey say he was only taking legitimate fees or borrowing money he intended to repay. Dargey has declined to comment. Up for discussion: Congress is debating the future of the EB-5 visa program, which expires in December. The agency in August won a court order freezing his assets, and on Thursday Dargey lost control of Path America when a federal judge put it in receivership. The Justice Department is moving to seize the Bellevue home and Shoreline property allegedly bought with the immigrants’ money. And, as Dargey’s attorney said in court last week, there’s also a criminal investigation under way. 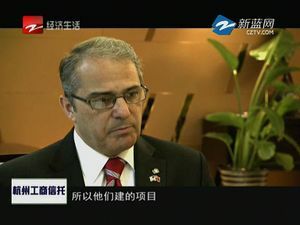 Now Dargey’s alleged diversion of funds jeopardizes the permanent-residency applications of some 250 Chinese families, who invested $500,000 each to become eligible for a fast-track green card. It also leaves his projects in limbo. As one of the SEC’s largest EB-5 fraud cases filed to date, Dargey may become a talking point as Congress this fall debates reforming the visa program, which will expire if not extended. “The kiss of death is, try to run before you can walk,” said Lanie McMullin, director of economic development for the city of Everett, which helped Dargey launch his career in EB-5. “Because of the nature of EB-5, where lots of money comes in fast for projects, it’d be really hard to monitor your growth rate in a wise and thoughtful way. Longtime friends and associates say they are shocked by the accusations that Dargey took investors’ money to spend on casino gambling, his Bellevue home and other unrelated projects. Dargey has said he was born on the livestock floor of a primitive farmhouse in Tibet. His parents sent him to study at a Buddhist monastery, but he left with other monks and traveled, mostly by foot, to India. By 1997, in his early 20s, he was in the United States, where he got his first job painting an office in Federal Way and later worked in sales for Sprint. He met Tami Agassi at a cancer fundraiser and married her in 2004. Dargey’s new in-laws helped him launch his career as a developer. In 2006, the Dargeys and Agassis borrowed nearly $1.5 million from BECU and bought the Everett Public Market, a 96-year-old building near the downtown waterfront with a leaking roof and a sad antique mall on the second floor. Dargey converted it into modern offices for alternative-medicine practitioners. Next Dargey bought an old car dealership and over four years completed his first ground-up development, a six-story apartment building. He called it Potala Village Everett, named after Potala Palace, once the Dalai Lama’s home in Tibet. By 2010, raising his sights, Dargey formed Path America. The next year he began raising EB-5 funding for a mixed-use project known as Pagoda Village, later called Potala Farmer’s Market, that included a hotel, apartments and a year-round, indoor farmers market. In many ways, the project is a good example of how the EB-5 program could work to benefit neglected areas. Immigrant investors can get permanent-residency visas, also known as green cards, by investing $500,000 in a commercial project that creates 10 full-time U.S. jobs. Critics say that too often those projects are in flourishing, high-demand areas. 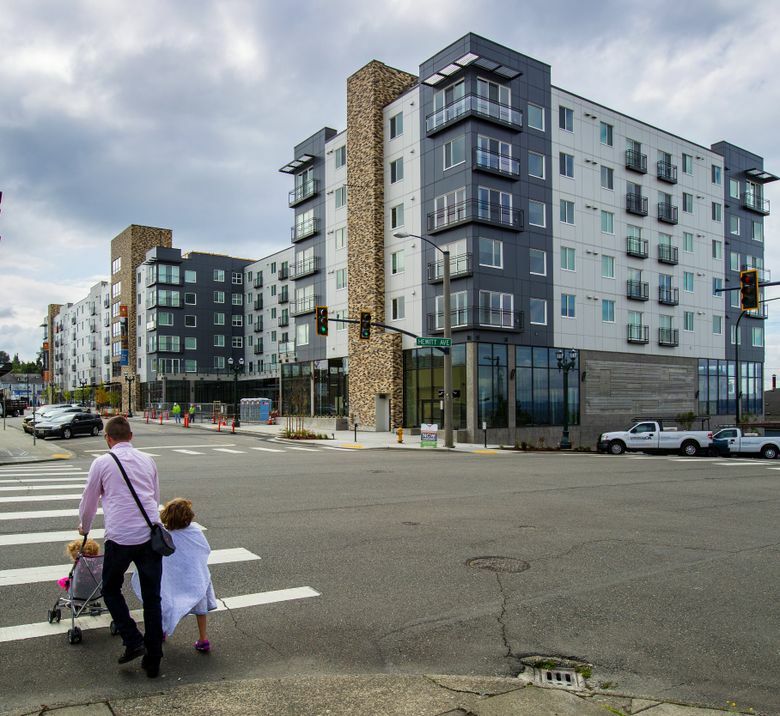 The unemployment rate in the three census tracts around the proposed project in Everett was as high as 36 percent, and the project would offer downtown something it hadn’t seen in years — new housing. Yet even early on, Dargey’s firm exaggerated what it had done: Path America’s website in 2012 declared its Everett project was “100% pre-leased” to a Homewood Suites by Hilton, a senior-services agency and an alliance of small farms — but that was not true. As Dargey’s agents pitched his investments in China, he got a helping hand from local politicians. Helping to seal that impression: In Everett they were welcomed by Mayor Ray Stephanson and U.S. Congressman Rick Larsen. In November 2013, Gov. Jay Inslee stopped by Path America’s EB-5 seminar in Shanghai to greet prospective investors. At the time, Path America hadn’t completed any EB-5 developments. Asked about this endorsement, Owen said his comments were based on information from his staff and a Path project he’d seen under construction. But the idea that the company had some unique right to use the president’s image would be preposterous to anyone in this country. The claim about the $700 million portfolio was false, too. At best, the firm was under construction on the Farmer’s Market in Everett and fighting the city of Kirkland in court over a proposed 143-unit residential project there. Path America had just bought a downtown Seattle site for $11.5 million for Potala Tower. Dargey’s only completed projects were the three Everett buildings — two renovated, one built from the ground up. By Path America’s own recent estimate, these buildings had a market value of about $38 million. If they could read English, potential Chinese investors might have studied the offering documents for Path America’s deals to decide whether it was worth paying their $500,000, plus at least $40,000 in administrative fees. But they wouldn’t have known that crucial details in both the $40 million Farmer’s Market offering and the $122 million Potala Tower offering were also exaggerated, or that some promises wouldn’t be kept. 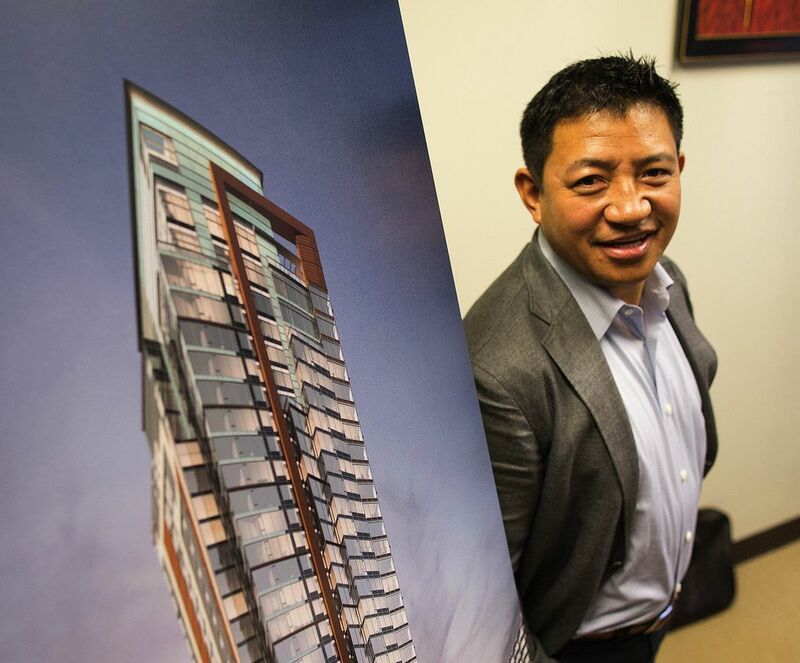 For Potala Tower, Path America told investors in 2014 that it would contribute $30 million in equity — about half of that for buying land — to the $188 million project in Seattle, with the balance coming from EB-5 investors. The reality, however, was far different: Path America bought the Seattle land for $11.5 million, but it borrowed $10.5 million from the seller. Path America’s $1 million down payment came from EB-5 funds dedicated to the Farmer’s Market project, the SEC alleged in late September, based on an accounting submitted to the court. Dargey also used EB-5 investors’ funds to pay down the loans used to buy the property instead of making his own capital contribution, the SEC alleged. Dargey acquired land for the Farmer’s Market in a similar fashion. “Defendant Dargey’s supposed contribution to the two projects is built on a fiction,” the SEC alleges. Moreover, Path America had loaded up the Everett project with more than twice as much debt as it originally promised investors, putting them at greater risk of receiving nothing if the project went into default. The heart of the SEC’s case is that Dargey used EB-5 investors’ money for expenses they didn’t authorize, such as the Bellevue home, more than $200,000 at casinos across the West and $14.7 million on commercial property in Kirkland and Shoreline. That jeopardized his investors’ chances of getting green cards, the SEC alleged, because the money wasn’t spent on the job-creating projects the investors told the federal government their funds would be used for. For example, Dargey used $9.3 million from investors’ capital to pay commissions to agents in China, even though the prospectus specifically said their money wouldn’t be used that way. Some commissions even went to companies in China that Dargey controls, the SEC alleged. Moreover, Dargey siphoned off millions more to his related companies — he has more than 30 corporations — and categorized these transfers as “direct overhead fees” or “intercompany loans.” Investigators found a $15.8 million “loan” to Dargey from the EB-5 fund for Potala Tower, as well as the $212,347 Bentley purchase. In court documents, Dargey states he was entitled to developer fees and that he is working to pay back the loans as fast as possible. “While the methods by which the payments for developer fees were made (including direct ATM withdrawals) are not what you would find in a sophisticated business with developed accounting staff and control systems, the underlying reality is far less sensational than as portrayed by the SEC,” Dargey’s attorneys wrote. The Bentley was a “company-owned car for the entertainment of Chinese agents who expect the manifestation of success.” The gambling expenses also were for entertaining EB-5 agents and investors. Legal actions against a Chicago EB-5 promoter sued by the SEC in 2013 show one way Dargey’s case may evolve. Anshoo Sethi, accused of fraudulently raising $158 million from nearly 300 Chinese EB-5 investors in a convention-center project that didn’t exist, settled that civil suit with the SEC. But he was later indicted on eight criminal counts of wire fraud and two counts of making false statements. His trial is set for January. Dargey’s situation is different in one key respect — he actually was building the projects in which he sold investments. The Farmer’s Market in Everett is nearly complete: The hotel opened last year, about a third of the 220 apartments have been leased and another Dargey affiliate, Potala Farms, is the anchor tenant for the ground-floor retail space, according to Path America. 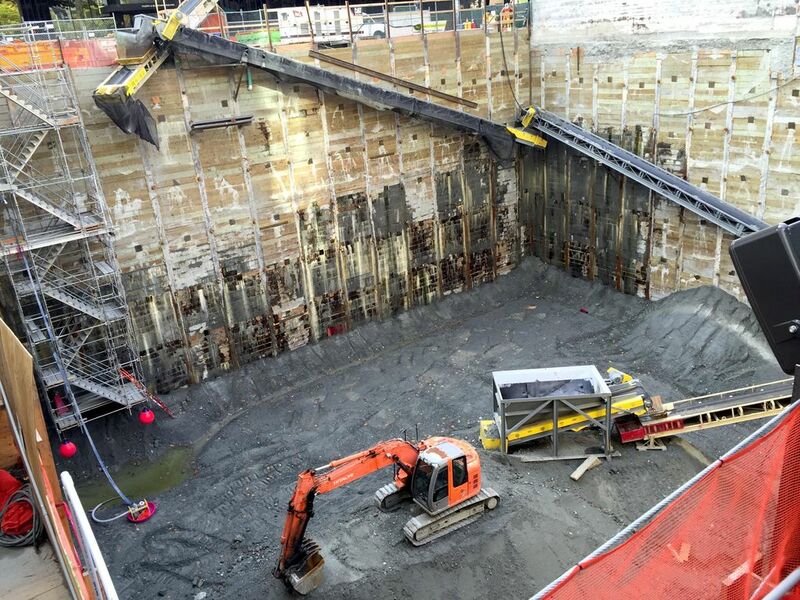 Meanwhile, contractors have dug a 60-foot-deep hole for Potala Tower. Path America’s projects in Kirkland, Shoreline and Seattle’s Othello neighborhood are in various stages of planning. But some of Dargey’s plans are unraveling as the case spins forward. So far, 20 investors have asked the court for refunds of their $500,000 contributions. And the Seattle Housing Authority’s deal with Path America to develop its Othello parcel is on the verge of falling apart for lack of progress. His friends worry that whatever the outcome of the case, Dargey’s fast rise is over.